In the Blink of an Eye features work by eye lounge member artists, Samantha Lyn Aasen, Kit Abate, Kat Davis, Gina DeGideo, Mikey Foster Estes, Tess Mosko Scherer, Brianna Noble, Elizabeth Odiorne, Cyd Peroni and Kim Sweet. This showcase of pieces from each artist features techniques and ideas essential to their practices. The title is a play on words about ‘the zone’ an artist is in while making art — time stops, it feels like a blink. Yet art making takes days, weeks, sometimes months to create. Please join us in an opening reception for this never-before-shown at eye lounge artwork on Friday March 15th to meet the artists and see the spectrum of skills and expression in this special Artlink exhibition. Each artist shares works from their unique style of art making: painting, photography, mixed-media, video, fibers and sculpture. Eye Lounge will be open for artist sharings and art activities throughout the weekend. Visit us Saturday, March 16th from 1pm-5pm and Sunday, March 17th from 11am-3pm to talk with a member from the collective as they demonstrate and share their creative processes with you. Gina DeGideo presents Along the Way in her first solo showing of this photographic work at Eye Lounge. For over five years DeGideo has been using a simple plastic camera and film to photograph her intuitive response to the things and people encountered in her daily path. What began as a way to keep functioning creatively while too busy with traditional life roles, has become a visual journey through the chaos of life and the revelation of unexpected beauty and peace discovered within those moments of our subconscious. 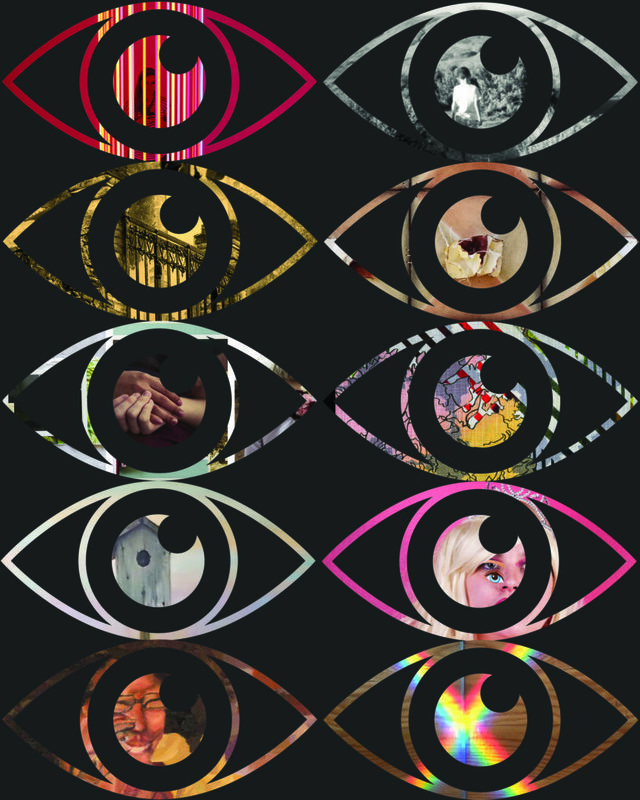 Eye Lounge presents the work of all it's current artists: Samantha Lyn Aasen, Kit Abate, Kat Davis, Gina DeGideo, Mikey Foster Estes, Tess Mosko Scherer, Brianna Noble, Elizabeth Odiorne, Cyd Peroni and Kim Sweet. Each artist shares works from their larger bodies of painting, photography, mixed-media, video and sculpture. Eye Lounge is a central Phoenix, artist-run collective gallery that often pushes the boundaries of contemporary art. The gallery is committed to fostering emerging and established visual artists. Join us for an Opening Reception and meet the artists on Third Friday, December 21, 6 - 9PM! We are very pleased that Amy Holmes George has agreed to jury this exhibit. She will select approximately 35 images for exhibition in our Middlebury, Vermont gallery, and an additional 35 images for our Online Gallery Annex. Wow! What a thrill and an honor to review such compelling and thought-provoking imagery with extraordinary levels of ingenuity. Thanks to all the artists who shared their work with me. The theme Myths, Legends, and Dreams lends itself to a rich and multi-interpretational platform for making art—art that can be playful and haunting, abstract and representational as well as literal and imagined. You will see all approaches considered in the works selected for this exhibition. These images stand as a testament to the ever-broadening definition of the medium of photography, while also offering refreshing takes on classic tales, dreamscapes, and difficult-to-explain phenomena. We invite you to visit the Studio Gallery at the FOUND:RE Phoenix Hotel in March to view an exhibition of photography produced by INFOCUS members. All visitors are encouraged to vote on their favorite photograph – at the end of the exhibition, the artist with the most votes is honored with the Viewers' Choice Award and given the opportunity to present their work during an artist talk at Phoenix Art Museum the following year. The free public opening reception is March 16 from 6-9pm. 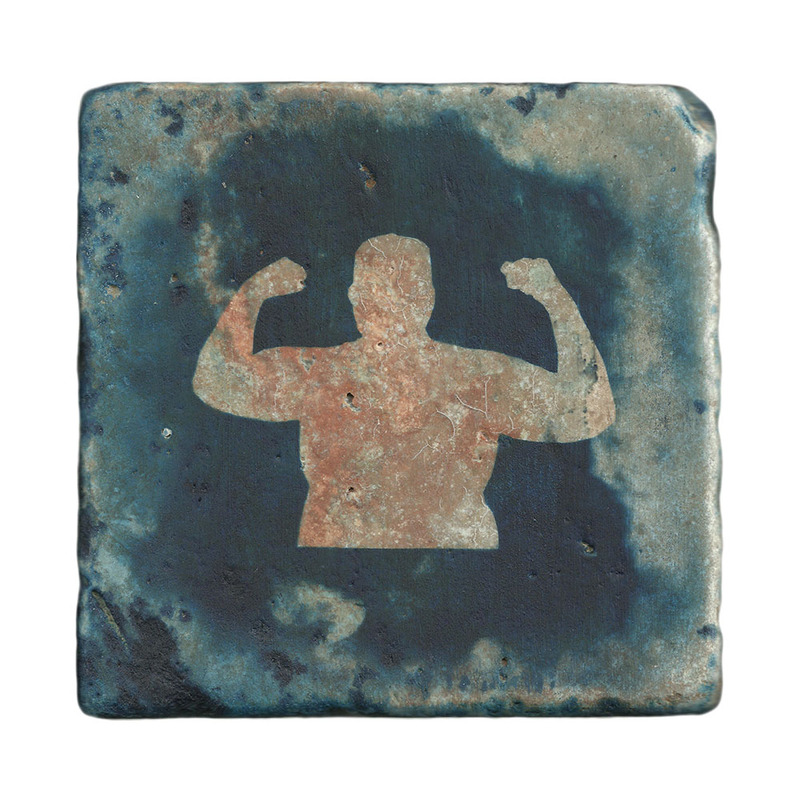 Four of my unique cyanotype on stone tile pieces from the series Flex will be on view. The Shemer Art Center will feature work in a variety of media that celebrates photography as an object and art form. The objective is to question the notion of photography, and focus on alternative modes of image-making that generate a presence, carries weight, or evokes an emotive response. The jurors: Jace Becker, Joshua Haunschild, and Kari Wehrs are MFA Candidates in the Arizona State University Photography Program. Their interests encompass a desire to redefine photography in the digital age. This exhibition invites MCC alumni to share their diverse and high quality work in photography, ceramics, painting and digital media. Shay Bredimus, Melanie Craven, Michelle Craven, Matt Dickson, Dominic Garcia, Corinne Geertsen, Gina DeGideo, Frank Gonzales, Sam Hodges, David LeRoy Hunsaker, Kyle Jorve, Tony Lemos, Mack Liao, Rory MacLean, Shahrzad Mohammadian, Michael Rutter, Mary Shindell, Julie Stein, Dana West, Michael Williams, Neal Winter, Dee Dee Woods, Jordann Wood & Wing Wong. Gallery Hours: Monday - Friday, 9 AM-5 PM and during special events. MCC Art Gallery will be closed November 11, 24 & 25 in observation of Veteran’s Day and Thanksgiving. New York, NY-Soho Photo Gallery’s March show will feature the winning entries from the 18th International Krappy Kamera Competition, work by the gallery’s members, as well as photography by Jennifer Shaw. The Krappy Kamera Competition originated at Soho and is one of the high points of the year. The exhibition Working the Land: Arizona Farming and Ranching Families features four local artists: Scott T. Baxter, Gina DeGideo, Jay Dusard, and Jill Ison, all making contemporary photographic work of farming and ranching families and individuals still working in Arizona. Whether it is through the viewpoint of their own family life, documenting others, or from conversations with historical photographs, each artist has worked closely for years with the people in the photographs to show a dynamic look at their lives, rarely seen by the common passerby. 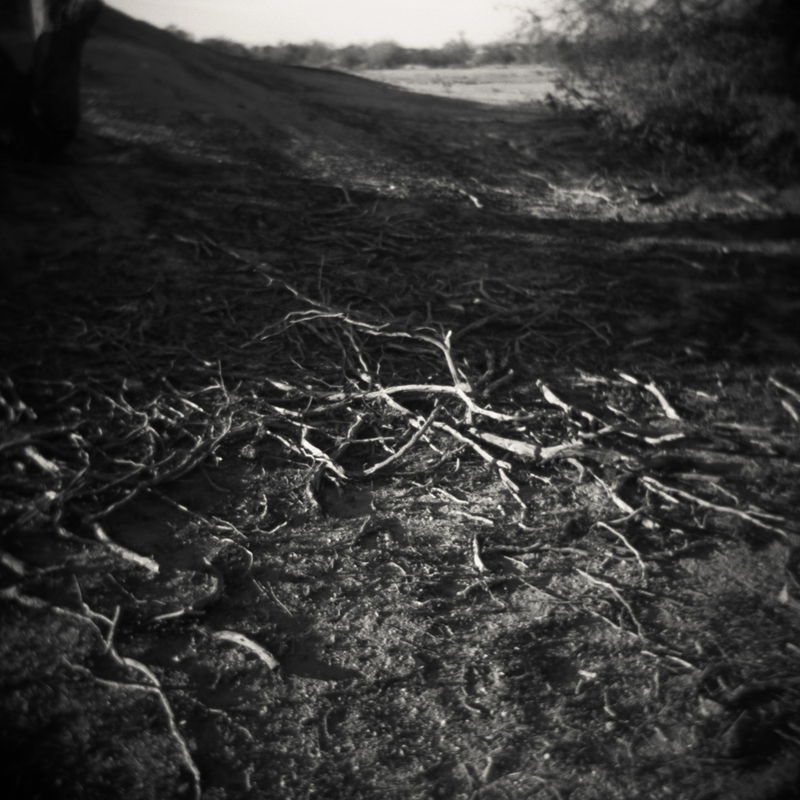 The exhibition will be held at Cattle Track Art Gallery and will be part of PhotoTapas – February photography month in Arizona. The exhibition runs from January 19th to February 14th, 2016, with a Closing Reception on Sunday, February 14th, from 1 to 4pm. Cattle Track Arts Compound was built in 1937 and since then has been home to several well-established Arizona artists, such as Philip Curtis, a founder of the Phoenix Art Museum. Today, printmakers, sculptors, painters, photographers, a blacksmith, and others live and work on the property. The Cattle Track Art Gallery features original artwork from artists worldwide. To learn more visit the gallery at 6105 N. Cattle Track Road in Scottsdale or call (480) 420-4281. Often perfection is a direct result of embracing imperfection. 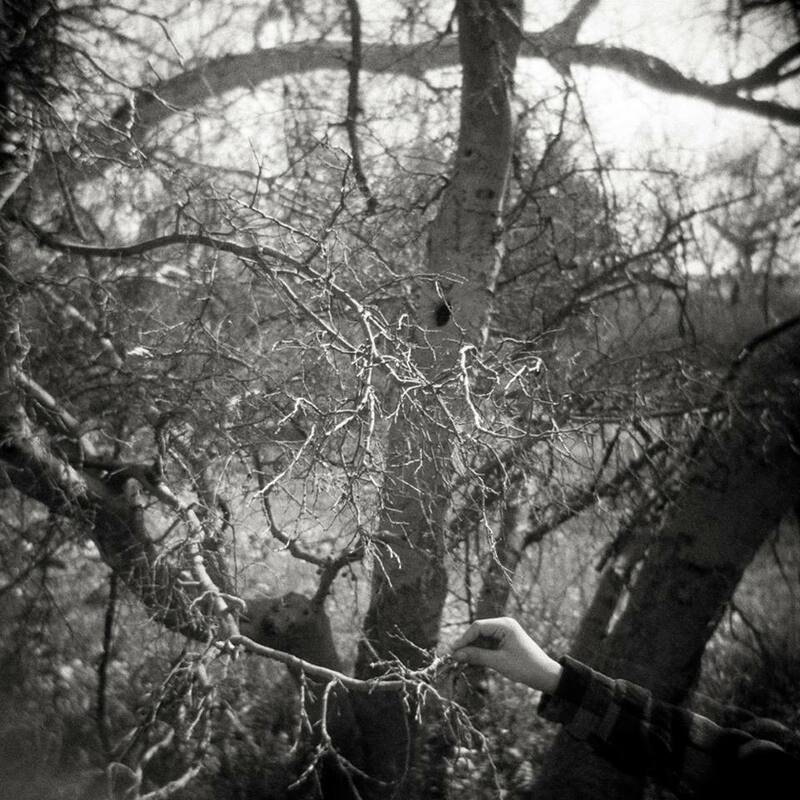 The term “happy accident” has become synonymous with wildly flawed alternative approaches including toy, pinhole and homemade photography, as they frequently rely on elements of chance and luck. But there have been some who have tamed these unpredictable, faulty beasts to yield purely poetic results by letting go of technical control and connecting with their inner photographic child. It was great joy to spend time with these wonderfully imperfect images and I applaud everyone who submitted. Having to narrow down a selection for the physical and online exhibits was an immense but gratifying task. In the end, the selected images seamlessly merged consistent aptitude with an element of unpredictable chance, thus creating lyrical results. I congratulate all the selected artists and sincerely thank everyone who submitted such fantastically flawed work. This exhibition, running from September 1st - October 31st, 2015 in The Gallery at the Gilbert Historical Museum, details the changing rural landscape of Gilbert, Arizona as seen through artist Gina DeGideo’s eyes. With work she created with found photographs by longtime local farmer, Marvin Morrison, for a commissioned family art project, along with photographs she had been shooting of the changing landscape over many years, she compares the “then and now” of what a small agricultural area in Gilbert has transformed into over the past 50 years.